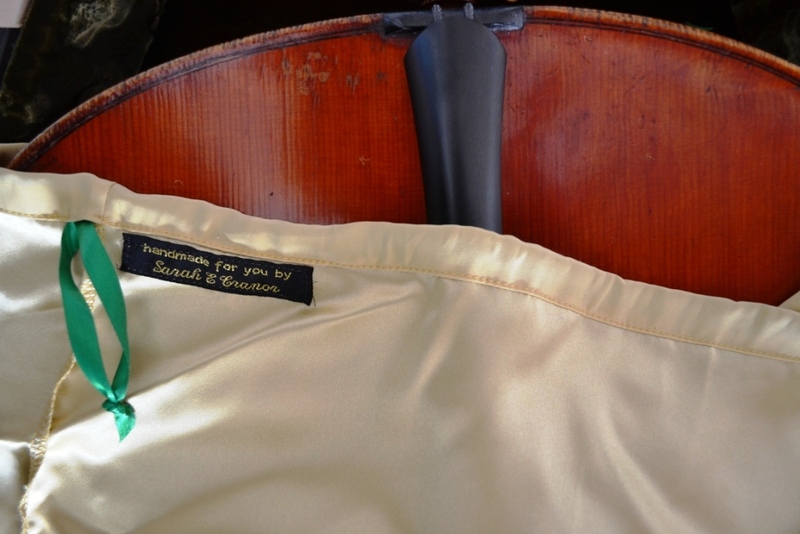 If you're interested in a cello bag, message me at sarah@sarahsviolinbags.com or place an order on the main store page (HERE) to put yourself on the order wait-list! Orders are currently on a 1-2 month wait time. Bags are in 100% pure silk charmeuse, all solid colors, for $155 plus shipping. Bags have either a matching or contrasting tie at the neck, and dual drawstrings around the end-pin for a bottom closure. Seams are on the outside as with the violin bags. See several images from recent customers on this page! *Please note* custom orders are now on a wait-list, between 1-2 months. Since viola sizing is not standardized, each bag must be custom made. These bags are between $65 and $75 depending on viola length. 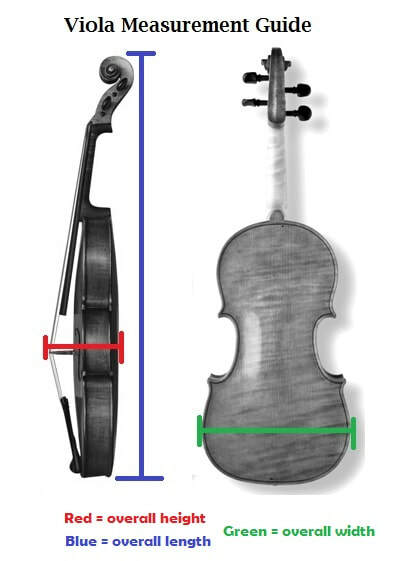 When ordering a viola bag, please send the following measurements- see image below for guidelines! Just choose a print or color scheme, and I will let you know what is currently available!